Posted on Thursday, January 09, 2014 by "T". The 2014 PokerStars Caribbean Adventure (PCA) Main Event is underway and the two starting days are already in the books. 184 of 295 players (Dylan Hortin topped leader board with 160k) survived Day 1A and 475 of 710 players (Shankar Pillai came out on top with 173k) made it through Day 1B, which means that 659 players will return to play today! 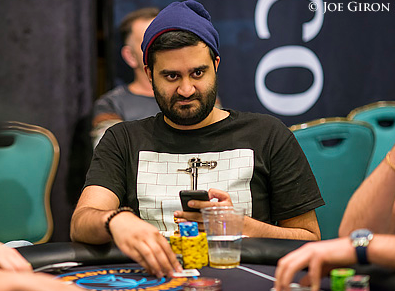 The overall chip leader is Shankar Pillai (picture) with 173,900 chips and there are lots of big names left in the competition, including PokerStars Pros Vanessa Selbst, Eugene Katchalov, Marcel Luske and Liv Boeree. We will be back with another report tomorrow morning. The prize pool and payout structure should be announced by then. Stay tuned!